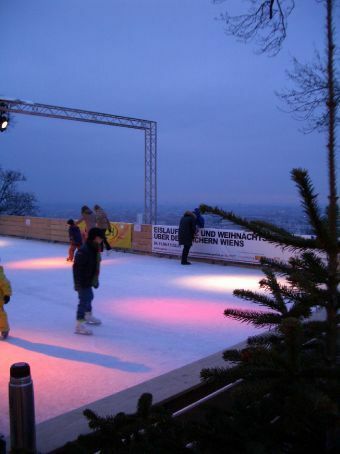 The ice rink that just happened to appear next to our hostel in the woods overlooking the city. Actually we think it was the grand hotel next door that arranged it. No, we didn't have a skate - we didn't want to spoil the ambience with our novice-ness.